Diverse and somewhat challenging as a wine region, makes discovering the true gems of the Loire that little bit more special! And that is without considering that the Loire Valley is studded with some of the most majestic chateaux in France, nearly every corner you turn you are faced with yet another captivating reminder of the Renaissance, contributing to what is an enormous UNESCO World Heritage Site. 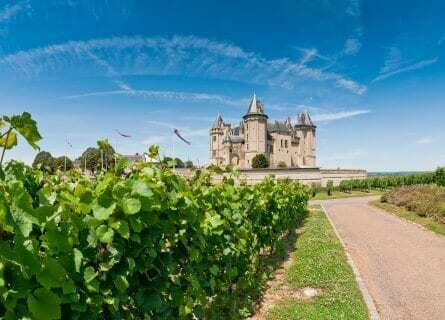 This Loire Wine and Chateaux experience starts and finishes in Paris and includes visits to remarkable chateaux, including Chambord and Cheverny. 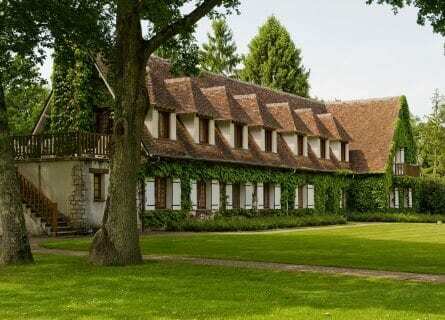 In between visits to these incredible stately homes you will enjoy private, VIP tours and tastings at some of the most prestigious wineries; Couly-Dutheil, Marc Bredif, Domaine Huet and Henri Bourgeois. You will stay in stunning châteaux and country mansions that have been transformed into luxurious accommodations. A wide range of gourmet experiences include a quaint bistro, Michelin starred restaurants and a wine tasting picnic cruising down the River Loire. Our bespoke vacations can be adapted for couples, small groups or corporate and enable you to experience the best the region has to offer in luxury and comfort. This journey through the Loire could easily be lengthened to include a few days in the romantic capital, Paris and even on to Champagne. Please contact us for more information on this superb tour. Pick up this morning in Paris, from your hotel, airport or train station. Make yourself comfortable in your chauffeur driven Mercedes as you hit the road Sancerre bound, it’s about an hour and a half drive, so sit back and enjoy the ride. On arrival at your Relais and Chateaux countryside hotel, make the most of a relaxing afternoon in this picturesque setting. It is literally green everywhere you look through the extensive grounds, impressive century-year-old oak trees dominate the horizon with a splash of color from the flowers in the perfectly manicured gardens and inviting turquoise swimming pool. This evening your table awaits in the hotel’s prestigious Michelin starred restaurant. The homely décor is so warm and inviting, helping you to unwind and get in the mood for the days ahead. 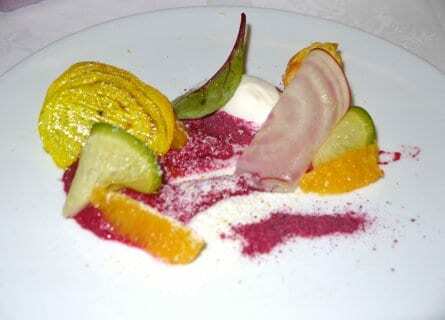 The French – Japanese fusion tasting menu is paired with elegant Sancerre. Bienvenue! Today you will explore the beloved region of Sancerre. Your first stop is for a wonderful wine tour at Henri Bourgeois. It is no coincidence that the Bourgeois family have Sauvignon Blanc and Pinot Noir plots on two opposite poles of the earth; they have a true understanding of the best terroir and climate for these varieties and are producing exceptional wines in both Sancerre and Pouilly-Fumé and Marlborough, New Zealand. Having opened your pallet with the sumptuous citrus forward Sancerre you will be ready for lunch which follows in a 14th-century tower at La Tour in Sancerre. A Michelin star tasting lunch awaits at the hands of the talented young chef, Baptiste Fournier, whose creative slant focuses on vegetable dishes, although equally terrific fish and meat dishes follow, not to mention the divine desserts. Perfectly paired with stunning wines. After lunch, enjoy a second wine tour and tasting at Ladoucette’s Château du Nozet in Pouilly-sur-Loire. Château Nozet home to the Ladoucette family since 1787 and prominently on the wine map since the 1970s as one of the finest estates in the region. You will actually do a Ladoucette trail including all three of their Sancerre estates; after Nozet, moving onto Poussie and Comte Lafond. This VIP tour will conclude with a tasting of some of their prize vintages and a gourmet food pairing. Then back to your fabulous abode for a free evening. 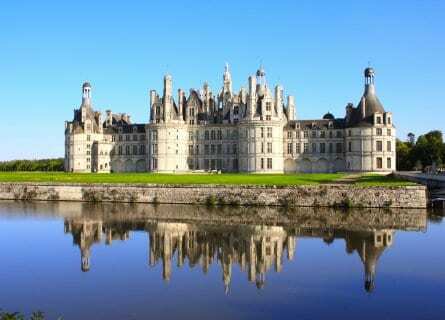 Today visit some of the most beautiful and famous Chateaux of the Loire Valley. First stop is the immense Château de Chambord, utter extravagance in its day, built as a hunting lodge, yet with over 400 rooms, it has to be seen to be believed. Fabulous Renaissance architecture including the impressive internal and exterior spiral staircases and the immaculate gardens make for a pleasurable stroll to work up an appetite before lunch. On to L’Orangerie du Château in Blois where the delightful husband and wife team, Chef Jean-Marc Molveaux and his wife Karine, in charge of the front of house, offer innovative and refined French cuisine using prime locally sourced products. Accompanied by very quaffable Loire wines from their select cellar. Visit Château de Cheverny after lunch, another glorious stately home and interestingly one of the first to open its doors to the public, back in in 1922. The grandeur of chateau life really comes through as you saunter along the vast elaborately decorated rooms and explore the grounds and botanical gardens. An extra treat for Tintin fans – in the interactive Tintin exhibition. And then finally, on to your next hotel, the splendid Domaine des Hauts de Loire. Paradisiacal; gorgeous ivy-covered chateau, luscious gardens and grounds complete with lakes, trees, and wildlife. A fabulous French breakfast to start your day and then a brief 10-minute transfer to beautiful Rochecorbon, take in the monumental Cathedral of Saint-Gatieno with its elaborate Stain glassed windows as you stroll around the pretty town. Then visit one of our fave wine estates- Marc Bredif. Producing phenomenal red and white Loire wines, no longer in the Bredif family since the 1980s when current owner Baron Patrick de Ladoucette acquired the estate. However, this change of hands only served to improve the already huge success story with a much-needed injection of funds. Renovating installations and expanding the estate to include some of the most prized Vouvray plots. A highlight of your VIP tour will undoubtedly be sampling extraordinary vintages and then sit down for a convivial cocktail style lunch. After lunch, a second private wine tour and tasting at Domaine Huet just a few minutes drive down the road. An inspirational story of backbreaking work, war, and love is behind what has become the definition of Vouvray wines. The tumbling down ancient stone wall that encompasses the Le Clos de Bourg vineyard adds to the charm and feel that Domaine Huet’s success is from simply the grandeur of its vines and resulting wines. Then on to Chenonceaux, to visit the spectacular chateau, another fabulous Renaissance masterpiece with a fascinating story of predominantly female ownership over the centuries, of royal wives, lovers or widows. It also served as a military hospital during the First World War and played an important role in WW2, helping to smuggle people escaping from the enemy. A free evening back at your gorgeous abode, you might like to try out the Michelin starred restaurant onsite. Check out and transfer to Chaumont Sur Loire, where you will embark on a traditional wooden boat for a cruise on the Loire, complete with picnic and wine tasting, a fun, relaxed way to take in some of the remarkable scenery. In the afternoon visit the exceptional Royal Chateau D’Amboise; famed for being the last resting place of Leonardo da Vinci whose tomb is within the chateau in Saint Hubert’s chapel. Despite its immense size, it is incredibly only a fifth of its original size, however, it still sits imposingly over the river and offers the most fabulous views across the town and surrounding valley. About an hour drive to Candes Saint Martin. Picture perfect, no surprise to discover it’s listed as one of France’s most beautiful villages. Explore the village, enjoy a spot of shopping and maybe pick up some gourmet goodies for dinner this evening, you have a kitchen at your next residence. Then your driver will transfer you to yet another beautiful chateau, which will be your stunning accommodations for the next couple of days. Breakfast overlooking the Loire followed by a stroll around the Medieval Fortress of Chinon, parts of the castle date back to the 10th century and it has played a significant role over the centuries including being the meeting place between Joan of Arc and Charles VII during the Hundred Years’ War or the tower of Argenton which imprisoned Knights of Templar prior to their execution. Just a few minutes down the road to Domaine Couly-Dutheil. Highly respected and without a doubt responsible for producing some of the Loire’s most admired reds. We are confident that you will never forget the spellbinding effect of a glass of Clos de L’Echo, magical! Before lunch stop in the adorable village of Montsoreau. Listed as both one of the most “charming” and “beautiful” villages in France, it’s clearly apparent why. Perfectly situated at the intersection of Rivers Loire and Vienne, the quaint Tuffeau stoned village sits in front of the dramatic castle. 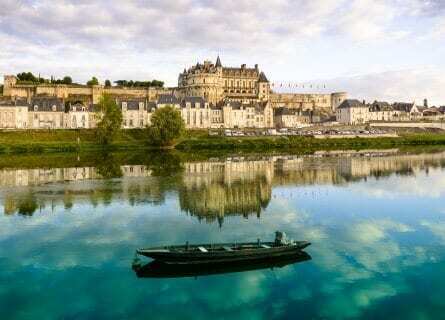 Then it is on to the lovely town of Saumur itself. Very much the wine hub of the Loire and often described as the Loire’s Reims and Épernay in one. Lunch is a more casual affair today at gastro bistro Terrasses de Saumur with a terrace view of the castle. Les Terrasses de Saumur pride themselves in offering hearty dishes with a modern, inventive touch, washed down with some gutsy Saumur wines of course. After lunch, you will move on to at Domaine de la Paleine. Low yields and an impressively equipped winery result in fine, fresh and ripe Saumur. 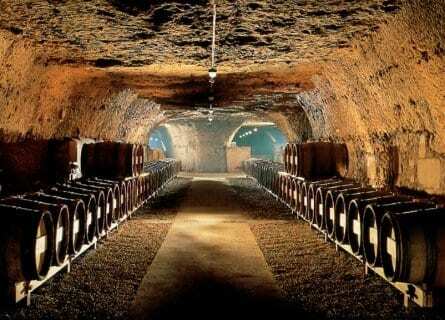 You will have a private tour and tasting of some of their top vintages. A free evening to wander around the pretty village, pack or simply relax. Your chauffeur will be waiting at your preferred time to transfer you back to Paris today. On the way, stop for a visit and lunch at the gorgeous 17th century Royal Versailles Palace, the most beautiful of them all! 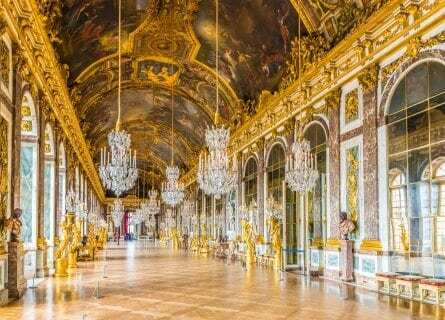 You will have a private guide here to show you the best of the best including the gardens, the Palaces of Trianon, the Hall of Mirrors, the photogenic fountains- all with entertaining anecdotes and expert commentary. On arrival in Paris, your chauffeur will transfer you to your hotel, airport or next port of call, Bon voyage!